I had been happy, happy enough, but now I often found myself uttering a spontaneous prayer that went, simply: She is here, still here. The only thing hard about listening to this is letting go of everything else. Some things last. Nearly forty years ago, I co-produced this track, while working at Alligator Records. It remains one of my favorites. The hour was late. The lights had been turned down. But the tape kept rolling. Here’s more of Carey, years later (2000, Switzerland [Bern]). When this came on the radio the other day (WKCR, Columbia University), background became foreground. Here, set to music, is a poem by Dorothy Parker (1893-1967). These are made by lonely folk. Last night, while riding my bike in Chicago’s Columbus Park, I bumped into this—a performance by Isabelle Olivier (harp), Larry Gray (bass), and Paul Wertico (drums). 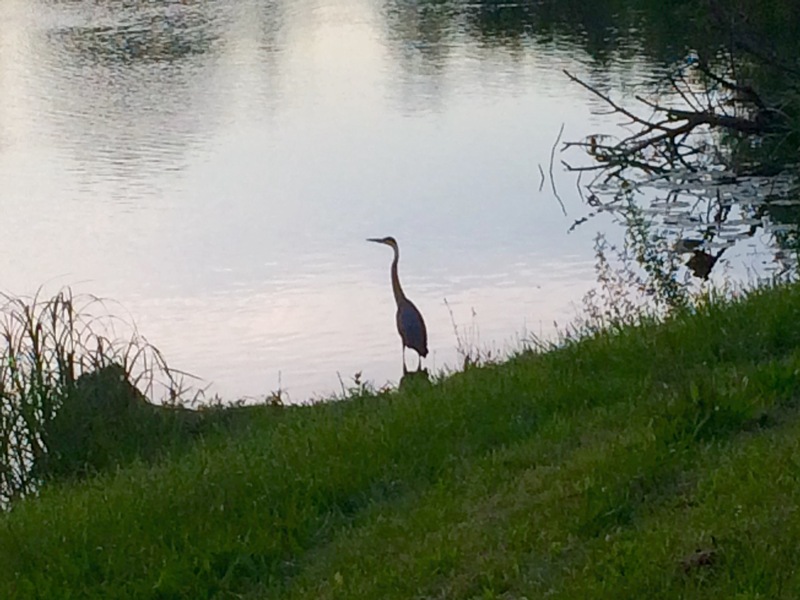 And, too, this great blue heron.